Blue Diamonds – why are they so expensive? 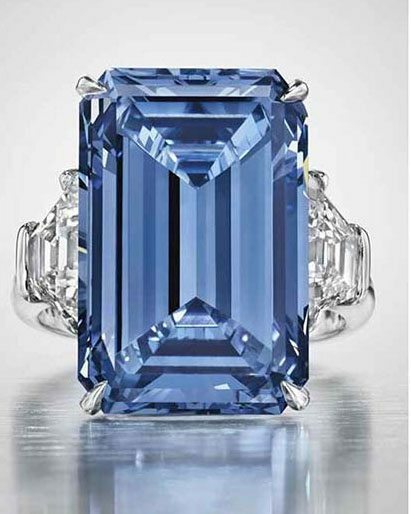 A recent report of the FCRF (Fancy Colour Research Foundation) highlighted that blue diamonds are reaching a peak in diamond prices – but why are blue diamonds so expensive? Well, these diamonds are very rare, especially the ones very intense in colour. We have always thought of diamonds to be white and sparking however, the fact is that diamonds are available in colours such as black, pink, red, yellow and blue. As a rule, it is said that pink diamonds are the most expensive as they are extremely rare but the same can be said for blue diamonds and this is why the price is high. What causes a blue diamond? The blue colour present in a blue diamond is due to the trace element, boron. Hydrogen is also known to cause grayish blue colour in diamonds while nitrogen causes yellow colour in diamonds. Greenish blue diamonds have been found to contain nitrogen impurities and therefore are said to be responsible for the colour of the diamond. Naturally occurring blue diamonds are very rare.